On June 5th young Rowan Garel celebrated his 15th birthday. Rowan’s birthday has taken on much significance since he has focused attention on others, using his reach to aid other like him to be able to do normal activities. And what makes him so special? Rowan was born blind. The visually impaired teen has not let this get in the way of accomplishing great things and in fact has broken barriers while experiencing the world around him. In 2011 Rowan climbed the one of the highest summits in Belize, Victoria Peak in two days and in 2012 he journeyed across the country walking 92 miles. Both astonishing achievements were done to raise funds for the Belize Council for the Visually Impaired (BCVI) which is the only organization in Belize that caters to the blind or visually impaired. As practice for the big dive, Rowan will be diving at Shark Ray Alley and Hol Chan Marine Reserve. Garel is receiving training and assistance from Sea Sports Belize and PADI certified instructors, John and Linda Searle. Rowan is also completing PADI e-lessons as part of the requirement to dive the Blue Hole. Due to his condition, certain adjustments were necessary in order for Rowan to become certified. Currently, he is preparing for the event by diving in a confined swimming pool so as to learn the proper signs and procedures needed while doing deep-sea diving. 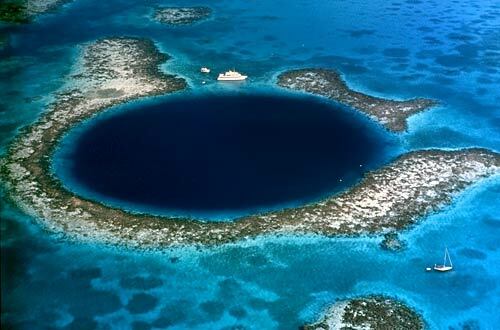 Rowan will not be diving the full depths of the Blue Hole, but he will be going a little below 70 feet of depth. Carla Ayres Musa, BCVI Communication Officer, will also be diving the Blue Hole with Rowan. 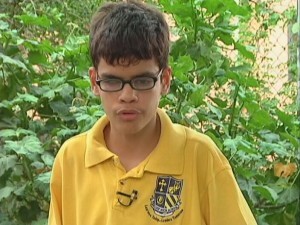 BCVI offers a rehab program for children from across Belize who are visually impaired. BCVI prepares the children starting from pre-school until they are ready to join the work force. BCVI also provides Braillers and canes for the children who are in need for them. To contribute to this worthy cause, deposits may be made to Belize Bank account number 71096 or donations can be dropped off at BCVI on Princess Margaret Drive, Belize City. Donations can also be sent directly to BCVI, PO Box 525, Belize City, Belize. We join the nation in encouraging brave young Rowan Garel on this momentous undertaking.